Author: Brodotrogir. License: All rights reserved. ZAGREB (Croatia), February 8 (SeeNews) - Croatian shipyard Brodotrogir said on Wednesday it launched the construction of an icebreaking tanker for Arctech Helsinki Shipyard under a contract worth 28 million euro ($29.9 million). The Croatian company will build the front section of the ship, 167 m in length, under a deal concluded in July 2016, Brodotrogir said in a statement. The project will be finished within a year. 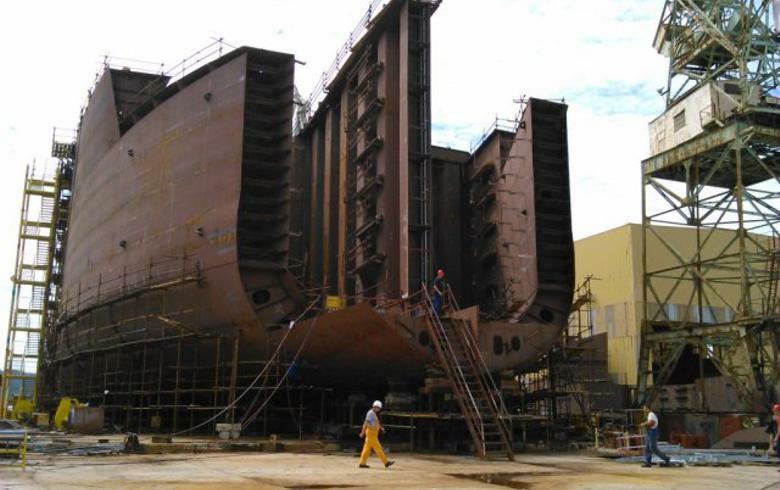 The remainder of the ship will be built by a shipyard in Finland, a spokesperson for the company told SeeNews. The ships total length is 220 m, with load capacity of 44 000 tonnes. It will be used to transport gas condensate. Brodotrogir is owned by local company Kermas Energija.